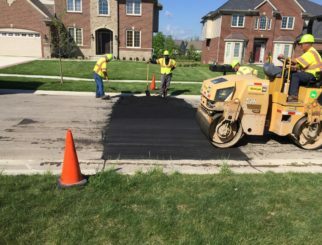 The City of Novi rehabilitated a one-mile, 5-lane section of Novi Road between 12-Mile and 13-Mile Roads in Novi, MI. The goals of the project were to add traffic calming measures, reduce head-on crashes, address drainage issues, and provide safer routes for bicyclists. The City received Federal Grant money for this project and wanted to optimize roadway operation. 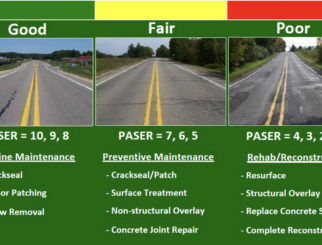 Working to improve conditions on an already-busy road required having options to consider. 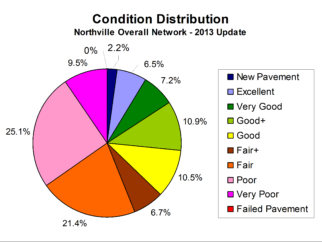 Municipalities must consider cost, traffic flow, and impact to existing pavement and drainage conditions. Municipalities that receive federal grant money for roads adds complexity and the potential for road blocks. SD has thousands of miles of experience in public infrastructure, pavement management, and working with all levels of government. The City of Novi wanted to choose from several design options. SD proposed five project scenarios. The City chose to remove the center turn lane and replace it with a depressed median/island, planted with attractive ‘bioswales’ (landscaping that removes silt and pollution from stormwater runoff). The road was resurfaced with new asphalt and included new signage. With Novi Road being a major route to Novi’s center of commerce, SD’s design and construction teams worked closely together to maintain both northbound and southbound traffic flow throughout the duration of the project. Improving roads doesn’t just improve travel. SD knows the road to success isn’t just paved with the right asphalt – sometimes it needs a few trees and flowers to get traffic going in the right direction. We help communities grow in many directions, one mile at a time.